Monique plays an integral role at Whyte Orthodontics in her role as an oral health therapist. Under the directions of the orthodontist, she assists in the initial braces-on appointment, during adjustment visits and treatments, and right through until the final stages when the braces come off. 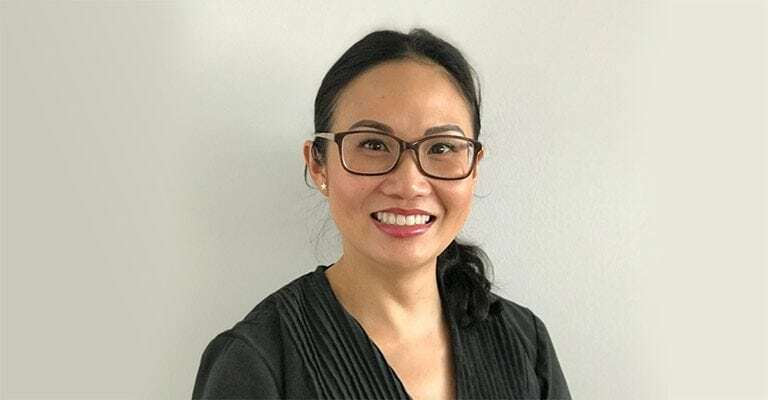 Since achieving her Bachelor of Applied Science (Oral Health) degree at The University of Queensland in 2005, Monique has worked in private practice on the Gold Coast, and in Sydney and Brisbane. Her experience covers all aspects of dentistry and orthodontics and extends from removing plaque and calculus to applying fluoride treatments, polishing teeth, taking impressions, radiographs and photographs, placing invisalign attachments and the ongoing management and care of braces. Monique was inspired to enter dentistry from a young age. As a child she would look forward to her dental check-up reminder letter arriving in the mail. She had braces as a teenager and enjoyed getting to know her dental team at her adjustment visits. Today she takes great reward from delivering the same great service to our patients. Her welcoming and friendly nature and her focus on maximising comfort and delivering the best possible care see Monique striving to ensure each visit is pleasant. Monique is a registered with the Australian Health Practitioner Regulation Agency (AHPRA) and is a member of the Dental Hygienists Association of Australia (DHAA). Further information to support you in your quest for good oral health can be found here.